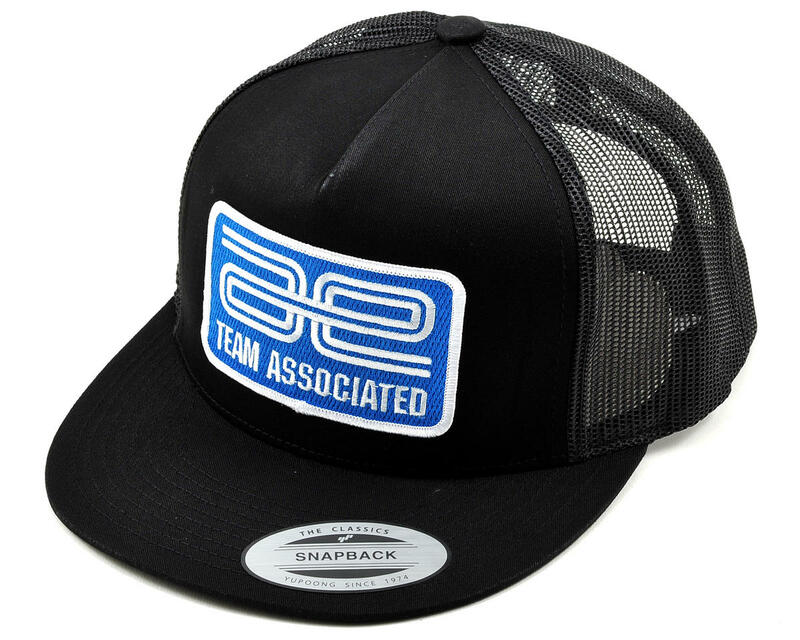 This is the Team Associated AE Patch Trucker Hat. This flat-brim hat prominently shows off Team Associated's original, vintage-style logo. 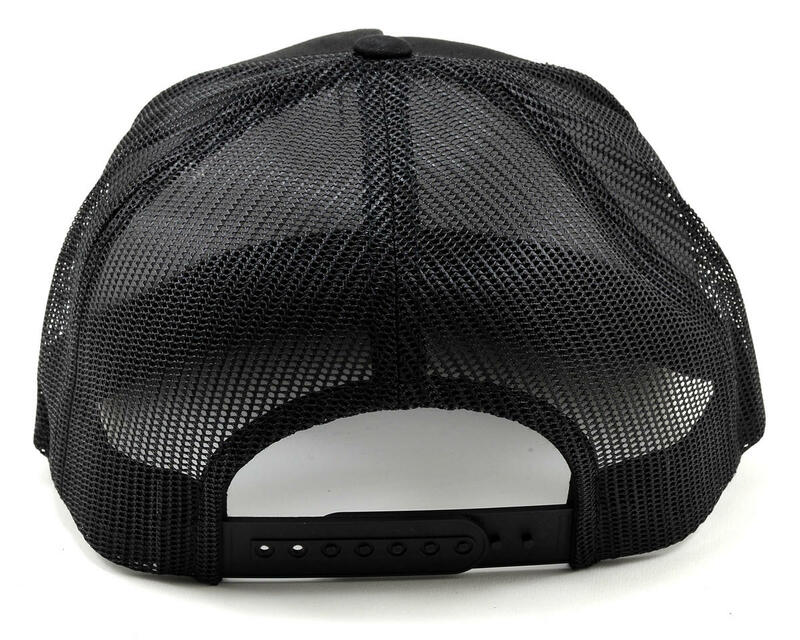 Its rear mesh lets the breezes in and keeps you cool. Adjustable for adult head sizes with a snap-back strap.